Keep your Portrait mode images looking great at night with some smart framing and lighting. Apple's Portrait and Portrait Lighting features let you shoot images with an enhanced depth of field, background blur, and digital lighting options, thanks to smart software tweaks and the iPhone X's dual lens system on both the front and the back. 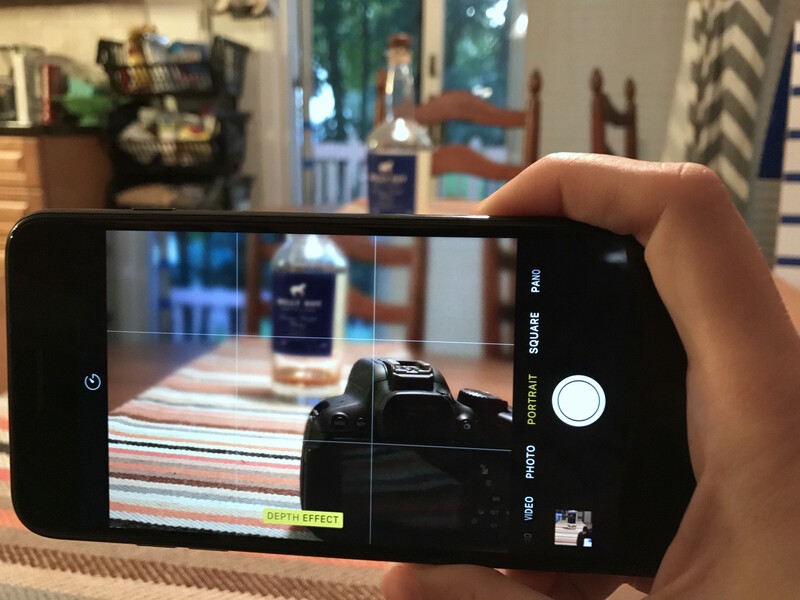 With iOS 11, both the iPhone 8 Plus and X can shoot Portrait photos well into the evening thanks to the addition of Flash and better metering in low light, but it can still be dicey to get the shot you want. But never fear: You can use a lot of photographic tricks to make even the darkest subject look fabulous! There are a few ways to accomplish this with various light, and here are my favorites. The iPhone 8 Plus and X's Portrait Lighting effects can be applied in real-time, and better still: they're changeable at any time. So if you want to experiment with a bright Stage Light in a dimly lit room only to revert back to Natural lighting at a later point, that's your prerogative. If you're shooting in a darker space, use that space's ambient light — be it windows, overhead lights, or other sources — to shed light your subject. Want to make sure your subject isn't grainy in low light conditions? Use specific lights in your frame to shed brightness on your subject and enable Portrait mode. Portable LED lights, Christmas lights, Hue lights, a friend's phone, and other small sources can all brighten an area of an otherwise very dark room and provide excellent contrast in your photo. Whites and pale colors need less light to remain bright in a dark environment; as such, if you can get a little bit of ambient light on them, they'll come out far less grain-ridden than darker colors. Normally, backlit subjects are a no-no for strict portrait photography. But when you're shooting at night, the rules change — and a backlit subject can sometimes result in beautiful low-light photography. Not only could you get a beautiful "halo" effect on your subject — a bright outline of light around them — that source may be reflective enough to splash a little bit of extra light on your photo. Neon signs, bright buildings, traffic lights — all of these can provide enough of a light source to light your subject. One note: When picking a shot, you'll also want to adjust Portrait mode's brightness slider to make sure you don't blow out the photo's lighting. As of iOS 11, you can use the iPhone's TrueTone flash with Portrait mode, but it's an option I like to leave until the end — even with the iPhone 8 Plus and iPhone X's excellent Slow Sync Flash feature providing beter background metering. If you do decide to use the flash, make sure you're not too close to your subject so that you don't blind them or blow out their skin tones. What are your favorite tips for shooting Portrait mode images at night or low light? Let me know below. Updated May 2018: These tips and tricks are still the best of the best!